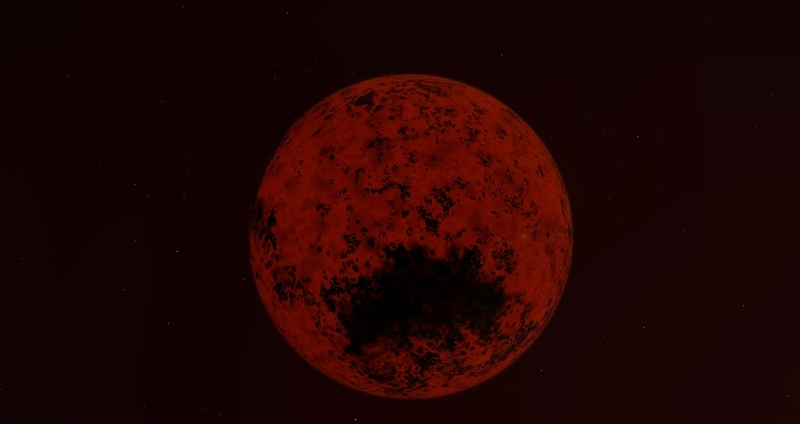 It's tidally locked to a T8 brown dwarf, which is a tiny "star" and generates very little heat. The star itself is only 800 K / 527 C.
It itself is 2818 K / 2545 C!!! It's 20 times brighter than it's "star!" Could it just be really young? Nope, it's 4.8 billion years old. Nope, it's got 0.01 Atmospheres and no Greenhouse effect. Maybe, but one has to wonder whether this is realistic. I can't see how we'd get 700 Exawatts of heat out of a tidal interaction. Can that actually happen? I think a tidally locked planet would have to have an orbit extremely close to its star and very eccentric for tidal heating to become a big factor, but in this case the temperature doesn't sound possible by any (realistic) mechanism. I thought blue giants could have evaporating planets, their heat output supports it. How those planets formed (if at all) is a mystery though. EDIT: I found another one, However the inner planets make sense. They are too close for that gravity not to have an effect on them, The outer planets maybe not so much, The outer "Warm planet" has life though being in complete darkness you have to wonder what it would look like. The inner planets are also evaporating, with negligible solar output I though if anything the clouds would be moving towards the brown dwarf creating a kind of accretion disk. 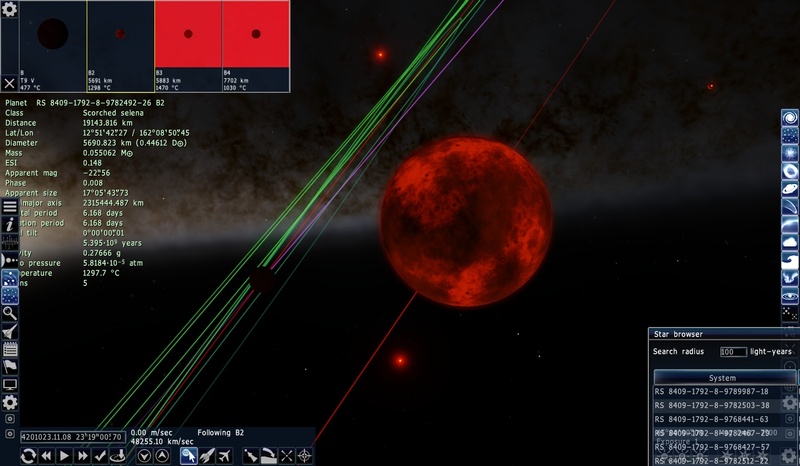 I have named the star "Dothtaal Ioth" and I have the SDD. This is a bug in the tidal heating calculation, it should be fixed in the next version. Well, it's tidally locked and it's old. So it's been earning heat over time? Is it close to its star tough? Folks, it is not necessary to point out further examples of this bug. It is already known, and has already been fixed for the next release. Because SpaceEngineer said so himself. You can also check the troubleshooting and bug reports thread. Damn, I hoped this was an actual thing. I like finding unusual things in SE and trying to figure out and develop an explanation for them.